Loyeta Morrison Cook, age 78, of Clarkesville passed away comfortably on Monday, April 17, 2017 with the love of her life, her husband, Homer Cook by her side. Loyeta was born January 21, 1939 in Sautee-Nachochee to the late Lloyd Morrison and Jaleta Tatum Morrison. She was married to Homer for 55 years (although she loved to tell you that he fell in love with her when she was 14!). Loyeta was a corporate wife and homemaker who took pride in caring for her husband, four children and home. Loyeta adored her grandchildren and loved spending time with them. Loyeta had a huge heart for loving people – she had many dear friends for whom she cared deeply. Loyeta was always game for whatever adventure Homer proposed as long as they were together! They enjoyed sailing, camping, scuba diving and bluegrass festivals. In retirement, Loyeta discovered her artistic ability through pottery classes. She was a member of the First Presbyterian Church of Clarkesville. 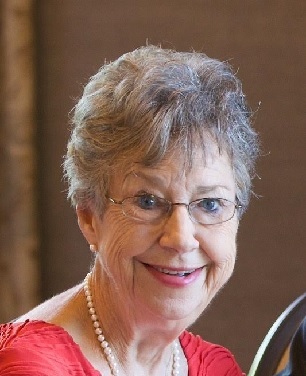 She is survived by her husband, Homer Cook of nearly 56 years; her four children, Tracy Cook of Nolensville, Tennessee, Karen and Steve Boor of Atlanta, Georgia, Lloyd Cook of Huntsville, and Kelly and Avinash Rao of Singapore; her seven grandchildren: Christopher (Austin) and Graem (Elizabeth) Cook of Huntsville, William and Alex Boor of Atlanta, Emma Iverson of Nolensville, Atticus and Daaniya Rao of Singapore; and one great-grandchild: Ellis Cook of Huntsville. The Celebration of Life service will be held Saturday, April 29, 2017 at 11am at First Presbyterian Church of Clarkesville. In lieu of flowers the family requests donations be made to First Presbyterian Church, 181 Jefferson Street, Clarkesville, Georgia 30523. Online condolences may be made at www.hillsidememorialchapel.com.